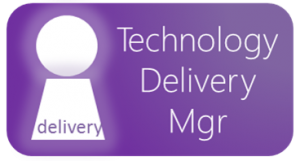 The Technology Delivery Manager (TDM) is responsible for managing the delivery of the technology solution of a business increment and the flow and continual delivery of the program or value stream producing it in the shortest cycle time. To do these effectively, the TDM should be familiar with all aspects of Lean-Agile work processes, as well as be well-founded in systems thinking. For the TDM, the most important systems principle is that “the whole is greater than the sum of its parts.” This means that integration is more than simply bringing together pieces, but also introduces emergent system-level behaviors that must be projected, observed and managed as part of integration and of this role. Compare the TDM with the ADM role, which is responsible for the content of the solution.